Transformers enjoyed enormous success in their first year & carried that momentum into 1985 with many new toys, cartoons, and comics. In the shows, the introduction of most of these new characters was rather abrupt (surprising considering how many episodes made up the second season!) That is, quite out of the blue, many of these characters were suddenly there! Thankfully, the comics filled in many of the gaps about where they came from. This page like other Transformers by year sections of unicron.com is divided in two parts. In the left column you'll find a media section with a complete season two episode guide and covers to the comic's second year. 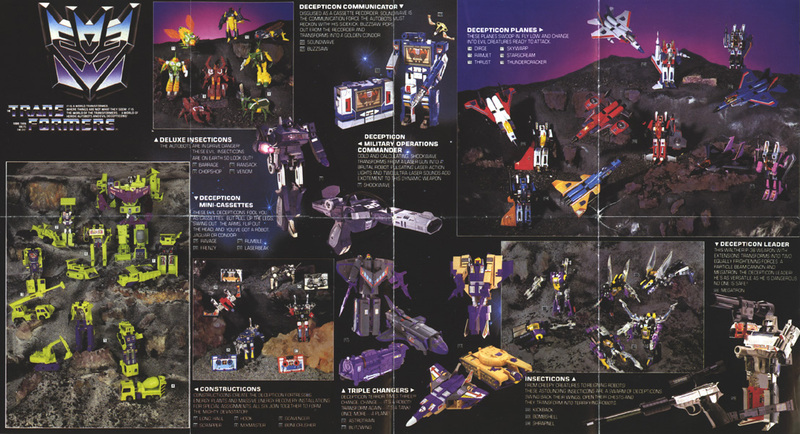 In the right (this) column, you'll see pictures of each new figure from 1985. They're listed in order of their appearance in the collector pad CHECKLIST. 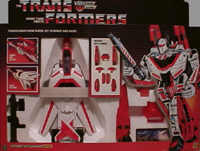 Each box picture is a link to a character page with screen captures from the cartoon, toy photographs, instructions & a written character profile, abilities, and weaknesses. 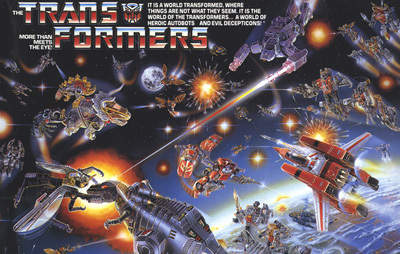 Enjoy your visit to the unicron.com 1985 Transformers page!